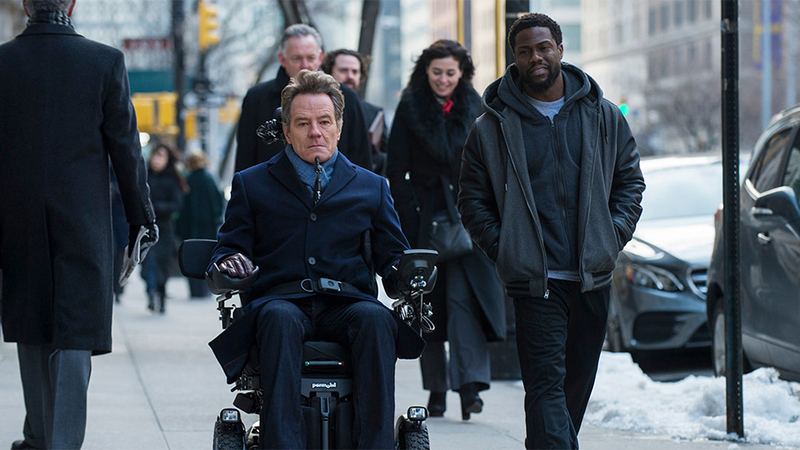 An ex-con is given a job as a caregiver for a wealthy quadriplegic man despite being the least qualified candidate. From there, the two men bond and become a positive influence in each other's lives. 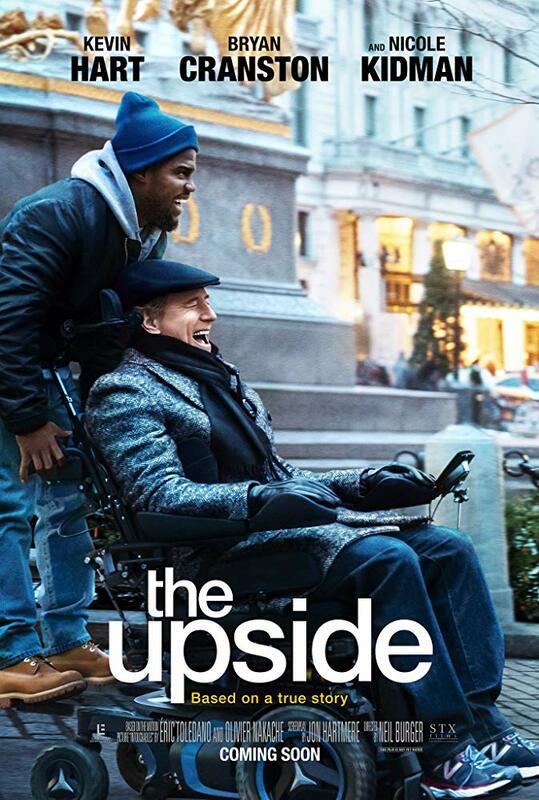 After being enveloped in controversy and sitting on the shelf for more than a year, "The Upside" has now seen the light of day. This film is directed by Neil Burger, who has directed movies like "Divergent," "The Illusionist," and "Limitless." The screenplay is written by Jon Hartmere and is a remake of the French film called "Les Intouchables" by Eric Toledano and Olivier Nakache. The story revolved around Dell Scott (Kevin Hart), an ex-con who is required to look for work as part of his probation. Thinking he is going in for a janitorial position, he finds his way into an interview with a wealthy quadriplegic named Phillip Lacasse (Bryan Cranston), who is looking for a full-time life auxiliary caregiver. Phillip decides to hire Dell because he is the least qualified for the job. 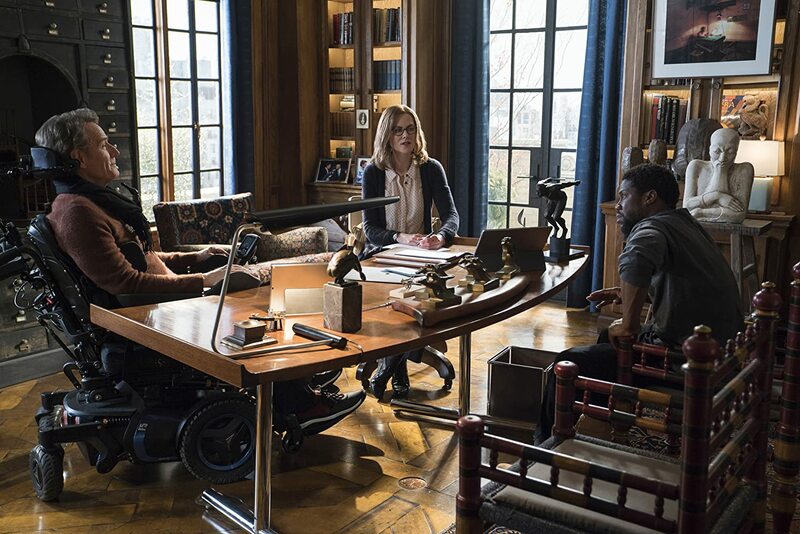 Dell accepts the position because he needs the money so he can pay back child support and maybe be able to see his son (Jahi Di'Allo Winston) again. Though they are a mismatched pair, the two men start to bond and begin to change each other's lives for the better. Isn't it wonderful? "The Upside" is a formulaic feel-good movie about two people from different walks of life becoming friends and learning from one another. Even though it is endlessly familiar, we still found it to be quite enjoyable. It doesn't do anything new (especially considering that it's a remake), but the acting is good, and the narrative is heartfelt and engaging. 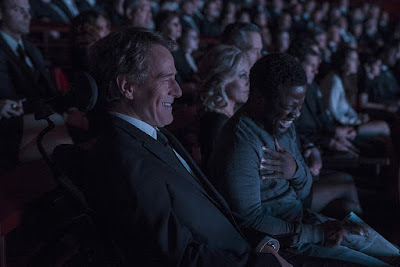 The story thrives because of the excellent chemistry between Kevin Hart and Bryan Cranston, and without it, this surely would have been a disaster. As we have said in past reviews, we prefer Kevin Hart when he's in a more subdued, less over-the-top role. Usually, his spastic boisterousness is dialed up to an 11, which can work for certain films, but here, his obnox-o-meter is turned down a bit to a much more reasonable 6. 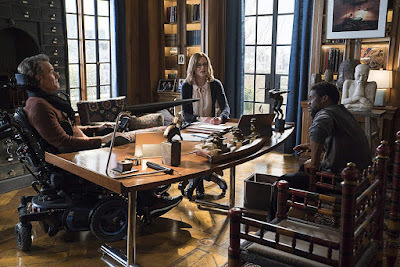 Hart is as charming as he usually is, and though his character Dell has many flaws, he is somehow still relatable, sympathetic, and we can understand what he is going through and wind up rooting for him to do the right thing. Bryan Cranston does a nice job as a wealthy, once able-bodied billionaire who is depressed and full of self-pity. His grief doesn't necessarily stem from his disability, more from the loss of a loved one. We mostly enjoyed watching this Odd Couple-style of humor as their burgeoning relationship grows, and we found it to be a fun movie, but we can totally understand how some may find it way too easy and/or manipulative. While "The Upside" might not be amazing, we think it is a mostly entertaining watch despite its predictability and is worth checking out at some point.